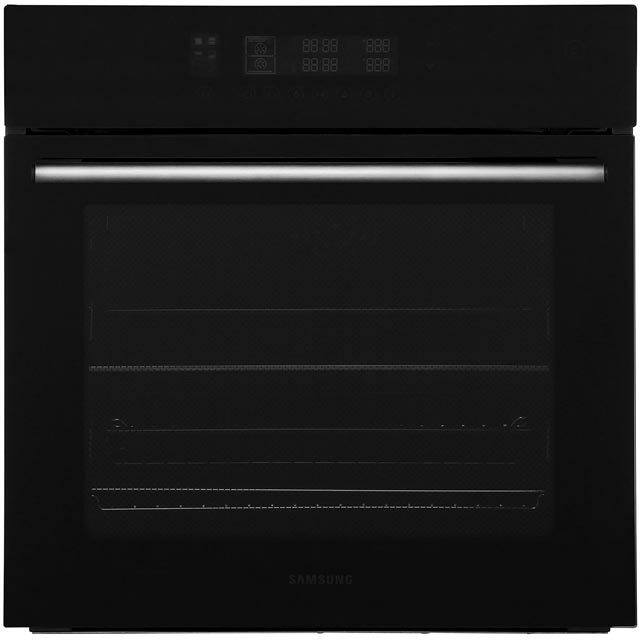 Cook delicious dishes with complete ease with this built-in electric single oven from Samsung. 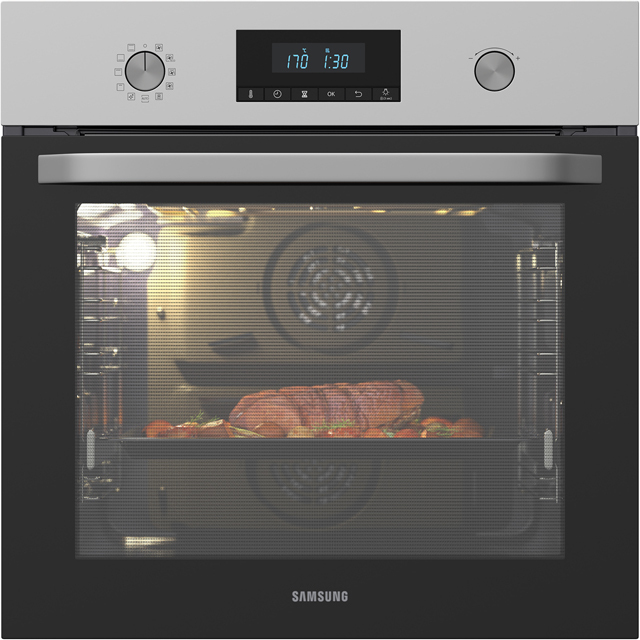 As it’s multifunctional, you’ll have plenty of cooking options to choose from, so you’ll get perfect results with every recipe. Its 70 litre capacity is ideal for creating lots of tasty dishes in larger households too. 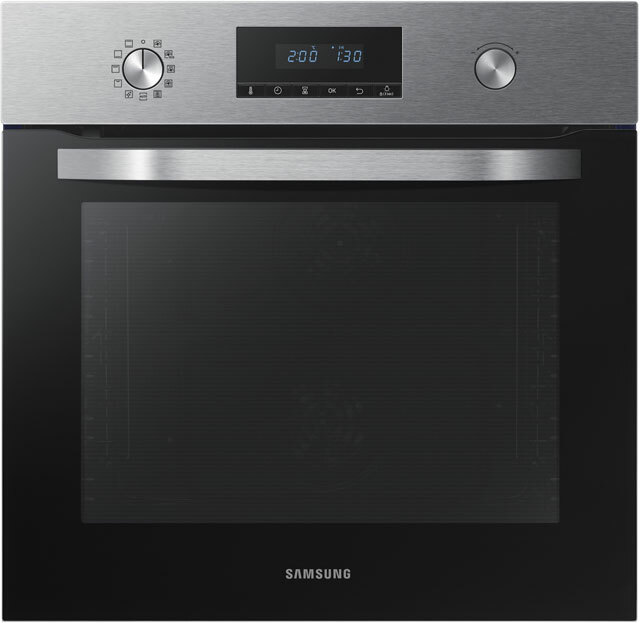 Thanks to the clever dual fan system, hot air is circulated evenly, so your meals will always be thoroughly cooked without flavours transferring between dishes. 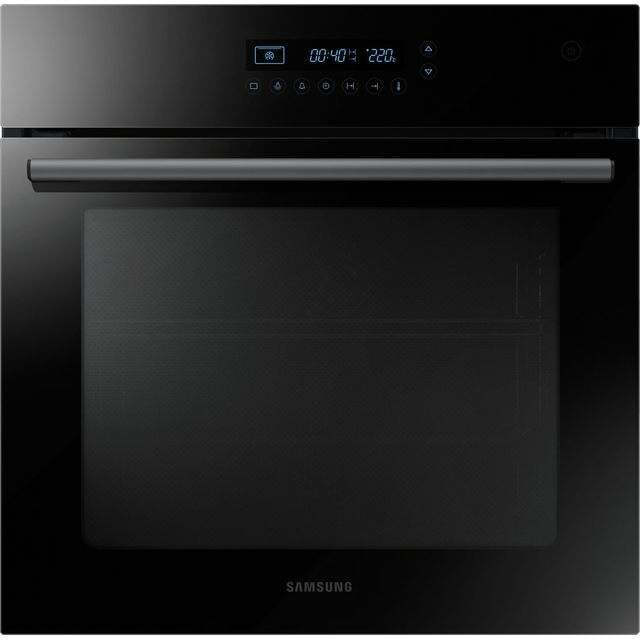 Your oven will also stay beautifully spotless thanks to the powerful, self-cleaning pyrolytic function which burns food and grease to ash, so it’s easy to wipe clean. 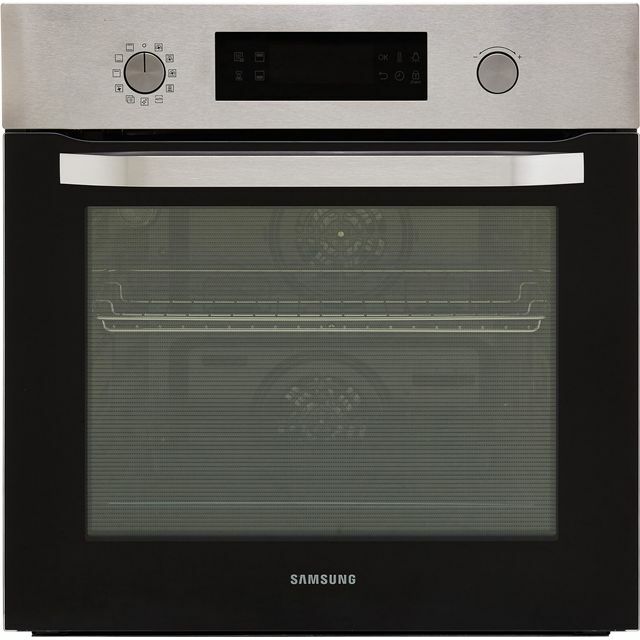 This single oven has also been designed to fit at eye level or under a worktop. Like the product - it is effective, solid, easy to use. Plus it looks great in my kitchen. Oven working perfectly well so far and is simple to use. But ended up paying £40 on line for a second shelf and there is no rack in the grill pan. Also the internal light goes out when the door is shut so you can only see what is going on if you open the door to take a peek. No good for energy economy as heat had escaped.